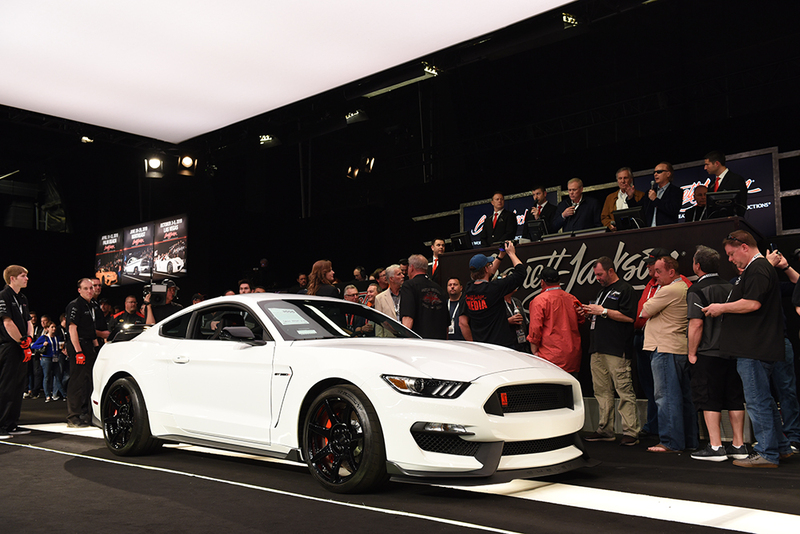 LOS ANGELES (January 21, 2019) – On Friday, January 18, 2019, in front of a packed house and a live television audience, a 2015 Ford Shelby Mustang GT350R owned by Petersen Automotive Museum Founding Chairman Bruce Meyer sold for charity at the Barrett-Jackson Scottsdale Auction. 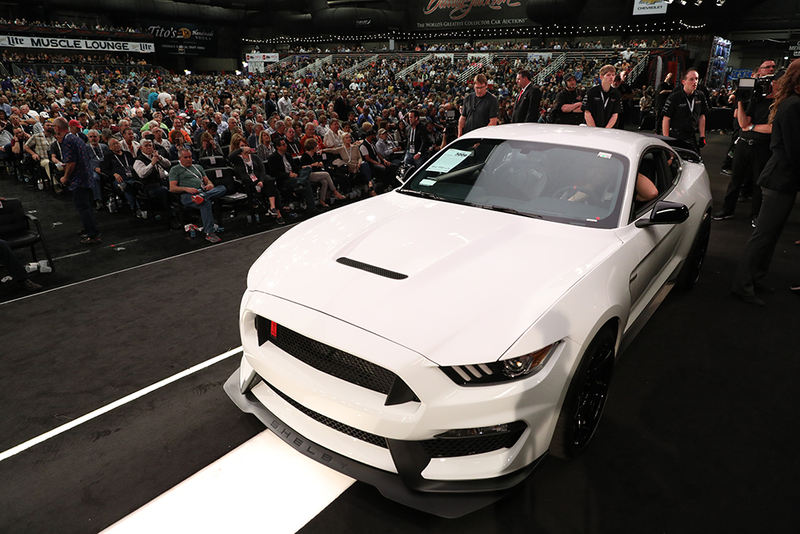 With 100 percent of the proceeds benefitting the Petersen and the Henry Ford Museum, the rare race spec Mustang hammered with a winning bid of $500,000 and was sold to celebrated collector and museum supporter Ron Pratte. Before crossing the block as Charity Lot #3006, Meyer’s GT350R showed less than 200 miles on the odometer. Since he took delivery of the car in 2015, Meyer prominently displayed it in his Beverly Hills Garage. 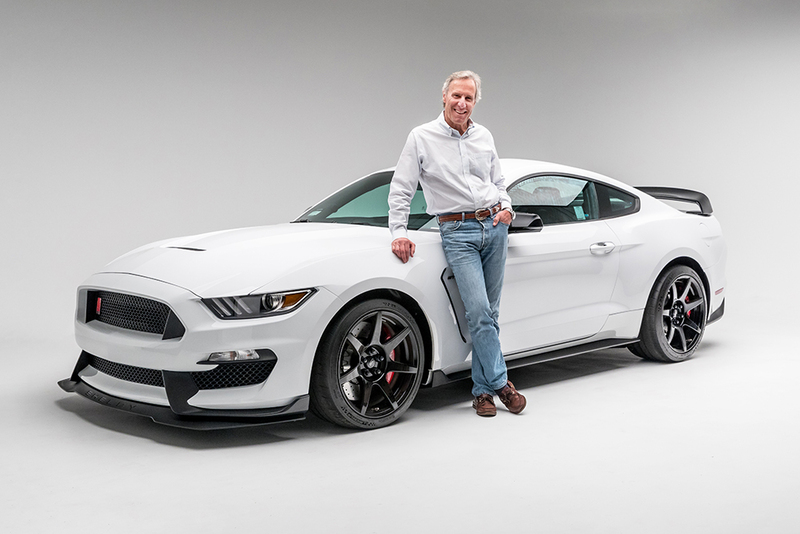 His decision to offer the car at auction for charity came from his steadfast support of the Henry Ford Museum and the Petersen, where he serves as Founding Chairman of the Board of Directors and the founder of the Checkered Flag 200—the Petersen’s top-level membership program. 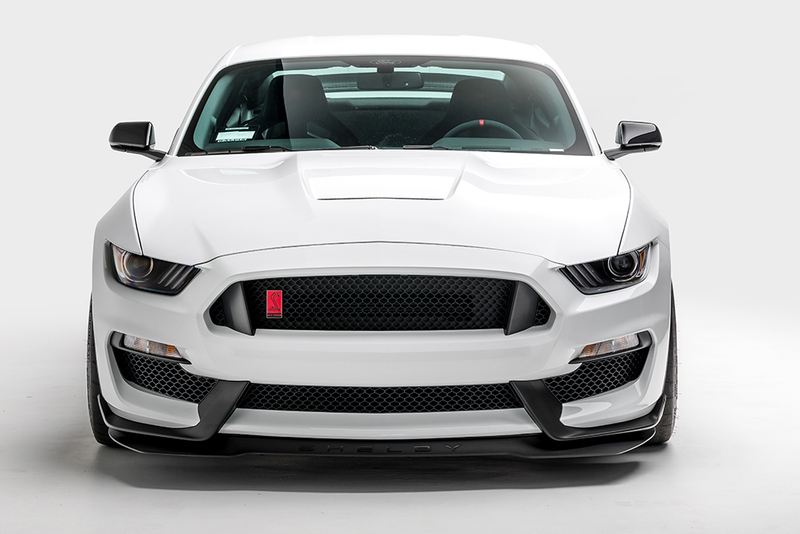 Ford’s 2015 Shelby GT350R celebrated 50 years of the iconic Mustang by transforming it into an all-out, street-legal track star. Like the 1965 R-model, Ford only produced 37 units of the GT350R. Purchase, however, was restricted to Ford family and VIPs—making ownership an exclusive affair. 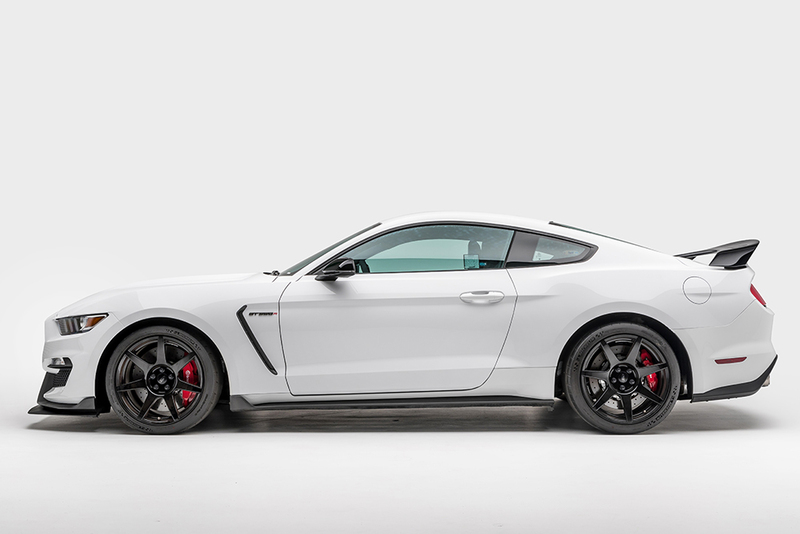 The car features a 5.2-liter V8 backed by a six-speed manual transmission, producing 526 peak horsepower at 7,500 rpm. While the GT350R will no longer reside in Meyer’s world-renown collection, a selection of his most important race cars will go on public display at the Petersen in the new exhibit “Winning Numbers: The First, The Fastest, The Famous” opening Saturday, February 23. The exhibit will feature a curated selection of Meyer’s most important motorsport icons, including the first production Shelby Cobra, the Porsche 935 K3 that won Le Mans, the Greer-Black-Prudhomme dragster, two Le Mans-winning Corvettes separated by more than half a century and more. For more information about the Petersen Automotive Museum, please visit www.Petersen.org.